TICKLESS Baby makes your time spent in nature worry-free: the device repels ticks without the use of dangerous chemicals. Simply attach the device securely to your child’s clothing, and it will keep ticks away for up to 9-12 months after activation, allowing your whole family to enjoy nature without care or worry. 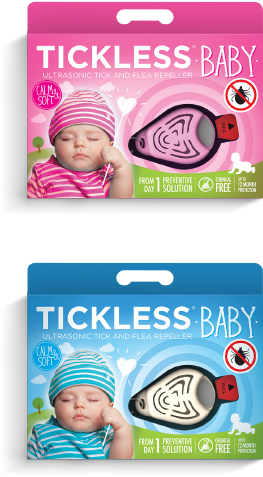 TICKLESS Baby is an ideal solution against ticks, right from the baby’s very first days spent outdoors.